Last week, my sisters and I were discussing how we were going to celebrate Father's Day. A usual dinner at home, followed by a cake. They were very kind to ask if I wanted to bake a cake or if we should buy it from the stores. As usual, if it's within my means, I will definitely prefer to bake it myself. Initially, I thought of baking a chocolate fudge cake. However, since my one of my baking friend had just shared with me about the chocolate chiffon cake from "Delicious Cakes", I decided to make the most classic decorated cake - Blackforest Cake. As expected, the cake turned out to be really good. My dad loved it! He actually commented that this is the best cake I had produced! Was I supposed to be happy or disappointed? Happy that he liked my cake. Disappointed that after baking for so long, this is the only cake that met his expectation?? LOL. Whatever it is, I was just glad that he liked it! 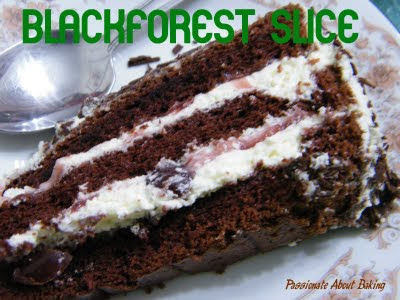 Recipe for Blackforest Cake, modified from "Delicious Cakes" by Amy Heng. In a bowl, whisk egg yolks and sugar together till light and fluffy. Then add in the rest of wet ingredients (A) and mix well. Add in the remaining dry ingredients (A) and mix until smooth. In a separate mixing bowl, whisk the egg whites and cream of tartar until foamy. Add in sugar gradually and continue whisking until glossy and soft peak. Take one third of egg whites and fold gently into step (3). Then pour the above mixture into egg white and fold to incorporate. Pour the mixture into a prepared lined 9" cake pan and baked in a pre-heated oven of 180C for 40mins. Invert cake and leave until completely cool before cutting into 3 layers horizontally. Drain out the juice from the cherries and leave aside. Put juice in a pot and add corn flour. Stir until combined and cook over low heat until boiled and thickened. Stir constantly while cooking. Leave it to cool. Whip the cream with sugar until stiff. Place a slice of cake onto a cake board. Spread a layer of whipped cream and cherry syrup then decorate with cherries. Repeat with 2nd layer of cake, cream, syrup and cherries. End with the last layer of cake. Spread the whole cake with cream. 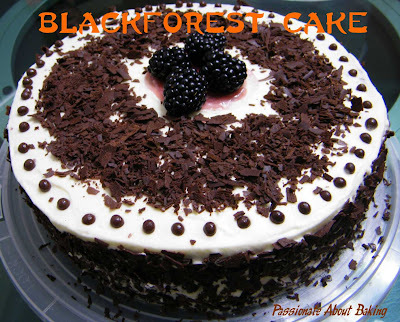 Decorate the sides with chocolate rasps. 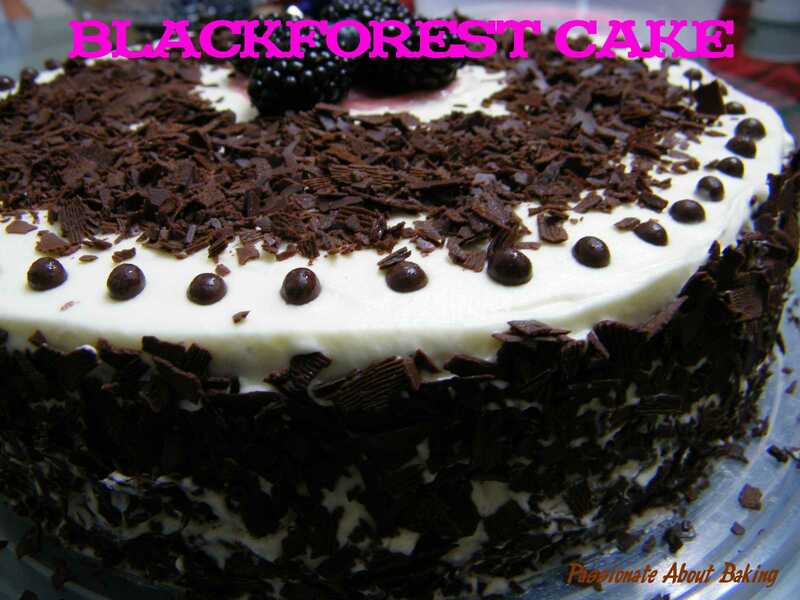 Decorate with chocolate pearls, berries or cherries to your preference. My elder son, Aloysius, has been harping me to make donuts for him since last year. I bought a "Donut" recipe book last December at JB, and I haven't used it yet. Since it was the last few days of school holiday, I decided to make some for the children before they get busy with school work, and me, on my coaching. I halved the recipe, not very confident that I wanted to do so much frying. When I did the frying, I confirmed that my frying skills are truly no good! 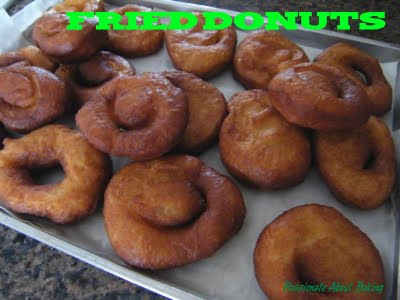 The donuts turned out to be crispy on the outside and soft on the inside. Aloysius commented that it tasted more like fried fritters (油条) than donuts when eaten plain. However, he said that he liked it. 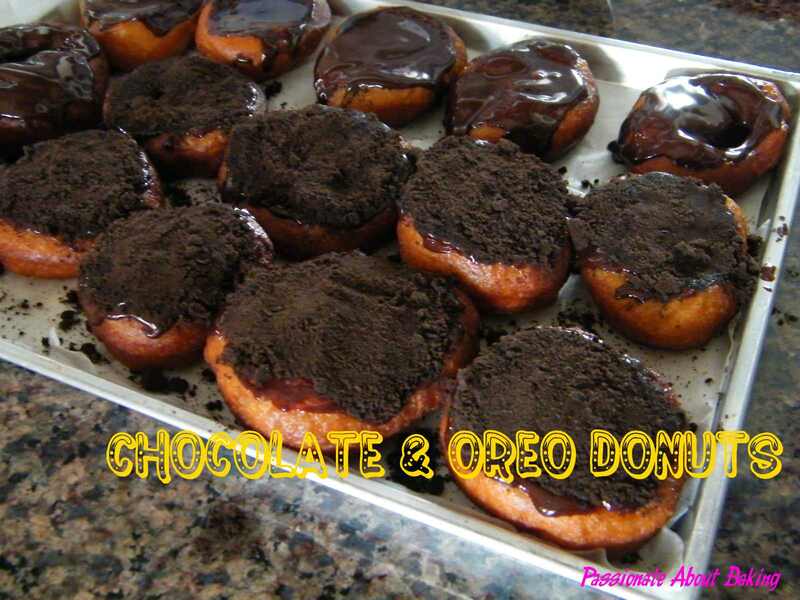 I topped the donuts with chocolate ganache, and some with crushed oreos. I didn't have the opportunity to keep them, they were gone within minutes! Mix (A),add in (B) & (C) and beat at medium speed for 5 minutes. Add (D) and mix for further 10-15 minutes until it is smooth and elastic. Leave the dough on floured surface, covered with clingfilm. Let it rise for 40 mins till double in size. Roll out dough to 1.5cm thick. Rest for 10 minutes, cut out donut using its mould. Transfer to a floured surface, leave aside for a further 30 mins to allow donut to rise. Topped it with chocolate ganache and/or crushed oreos. I'm submitting this to the Aspiring Bakers #8 - Bread Seduction. A long time buddy of mine lately gave birth to another boy and invited me to his first month celebration. I am very happy for her. It's been 25 years since we knew each other. Even though we don't meet often, nor chat often, we will still include each other in some of our celebrations. Since she invited me to her son's first month celebration, I decided to make some simple, yet delectable desserts for her. 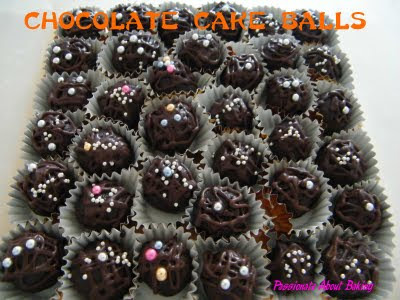 I was glad she liked my Chocolate Cake Balls. In a mixer with K-beater, mix the chocolate sponge well. Make sure they are broken into pieces. Add the whole milk to blend. They should somehow come together, but not completely. Mix thoroughly until they come together. If they don't, add more milk or chocolate if needed. 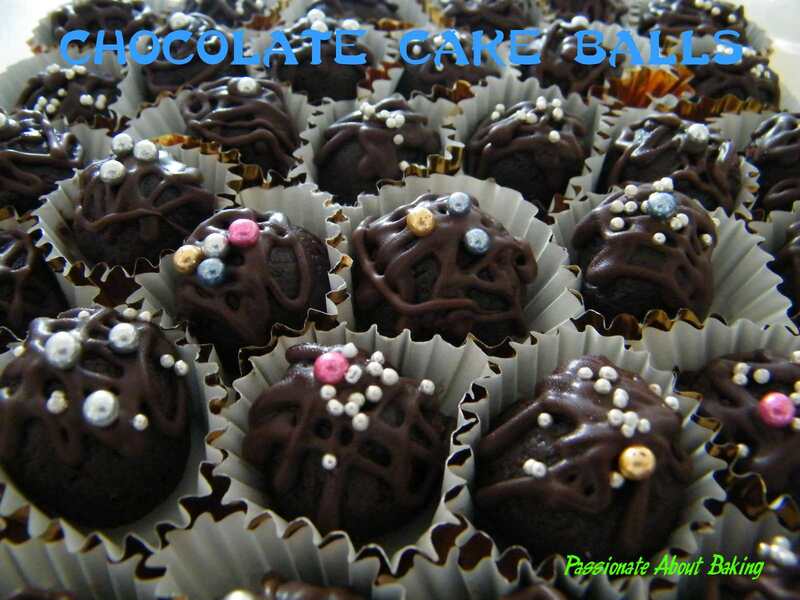 Then divide out the chocolate mixture, and roll them into balls. Refrigerate until ready to decorate. Pipe some chocolate on the chocolate balls. 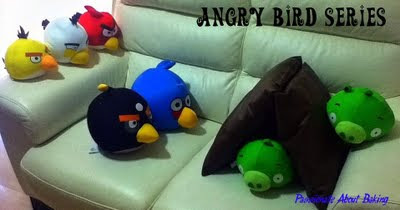 Decorate with coloured dragess as desired. "Avocados provide nearly 20 essential nutrients, including fiber, potassium, Vitamin E, B-vitamins and folic acid. They also act as a "nutrient booster" by enabling the body to absorb more fat-soluble nutrients, such as alpha and beta-carotene and lutein, in foods that are eaten with the fruit. "-defined from Avocado Org. Some tips about choosing avocados from my experience and what I read. Unripe avocados are usually green and when lightly pressed, it's stone hard. Keep it in room temperature for a few days and it will slowly turned dark brown and soft. That's when it has ripen and really to consume. 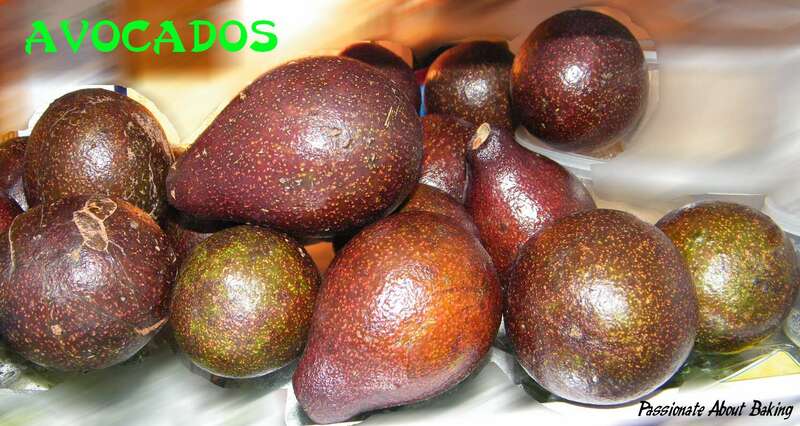 However, some avocados do not turn dark brown when it's ripen, it just turn soft. So you need to check on it constantly, don't wait eternally for it to turn brown! If you don't want your avocado to ripen so fast, keep it in the fridge. It lasts longer and takes a longer time to ripe. Even when it ripens, it can still be kept in the fridge for a longer period of time compared to being in room temperature. To learn how to cut and store avocados, refer to this site. It's very simple. Now, back to the bag of more than 15 avocados that I have, I was hunting high and low for recipes to make use of it. 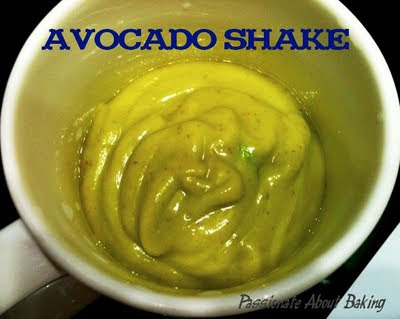 As far as I've tried, I usually blend avocado with milk and ice. Sometimes I add honey, other times I add gula melaka or chocolate syrup! Whichever I add, it just tastes good! Having an over supply of avocados, I decided to bake with it. 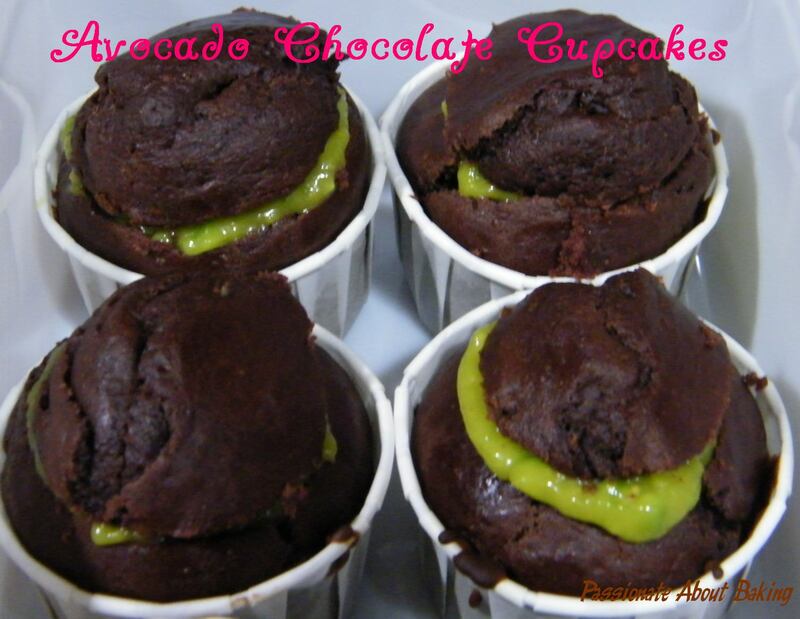 After a chat with Eelin, I decided to make Avocado and Chocolate cupcake (vegan). The recipe was adapted from Not Quite Nigella. I halved the recipe and made it into cupcakes instead. The verdict? I don't quite like it. It's not the usual cupcakes that I tasted. I think cakes without butter and eggs do taste a bit weird...something like "kueh" taste. 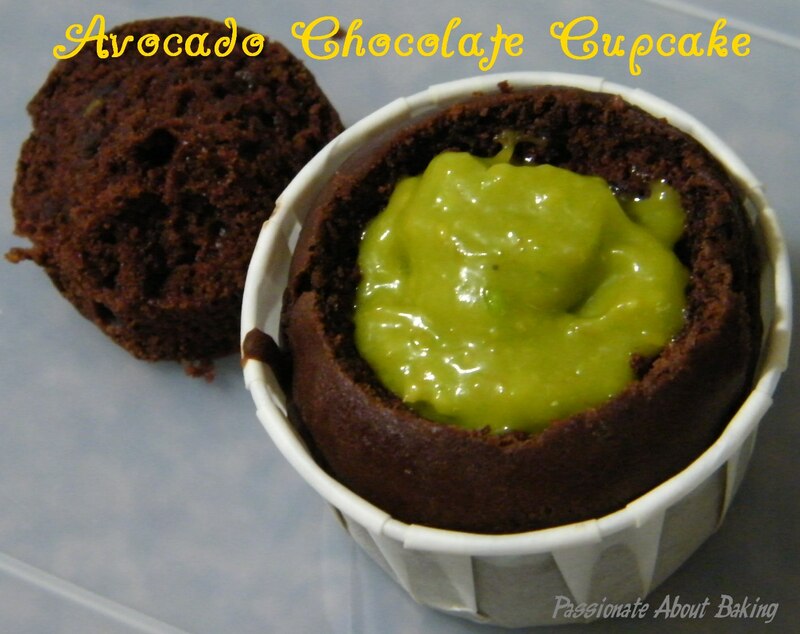 Luckily there was avocado frosting that covered the cupcake texture. 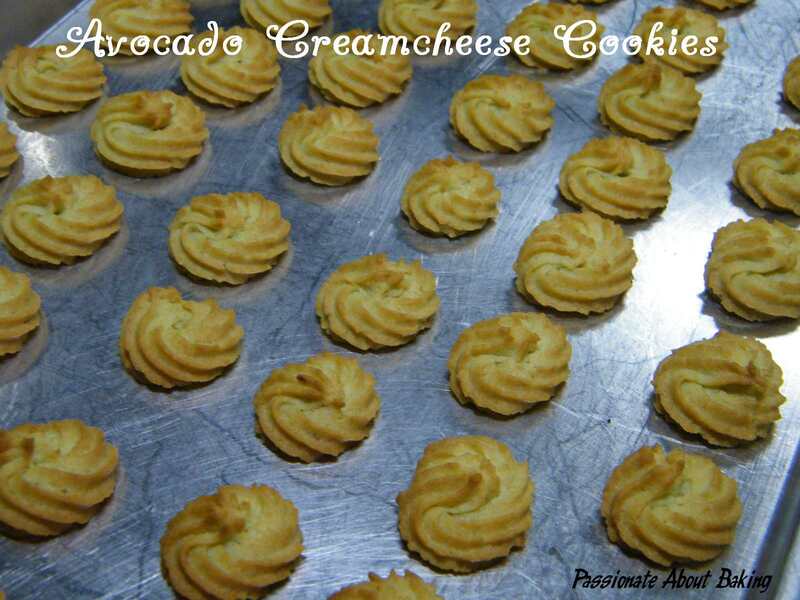 Being not satisfied with the avocado cupcakes, I decided to try the Avocado Creamcheese Cookies, originated from Angie, and then Anncoo. I used Anncoo's recipe and halved it. The final batter was quite thick, a lot of strength was required to pipe out the cookies. The verdict? I thoroughly don't like it! The cookies just tasted...bland and floury! It's not the usual cookies that one will like! Through my two attempts of baking avocados, I concluded that this fruit is not meant to be baked! 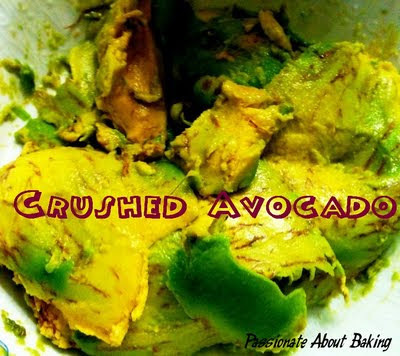 It is meant to eat fresh as it is, regardless of blending or mashing it (to become Guacamole Dip), but not to bake them! Perhaps cheesecake might be different. 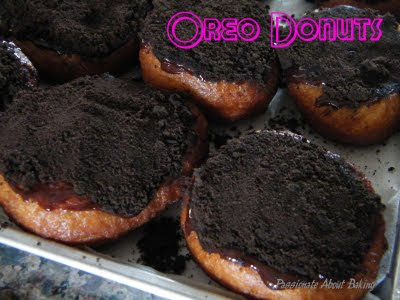 This is one recipe I've not tried (and maybe I should). When mixing avocados to the batter, you can smell the fragrance. However, once the food is baked, all traces or taste of avocado completely disappears! 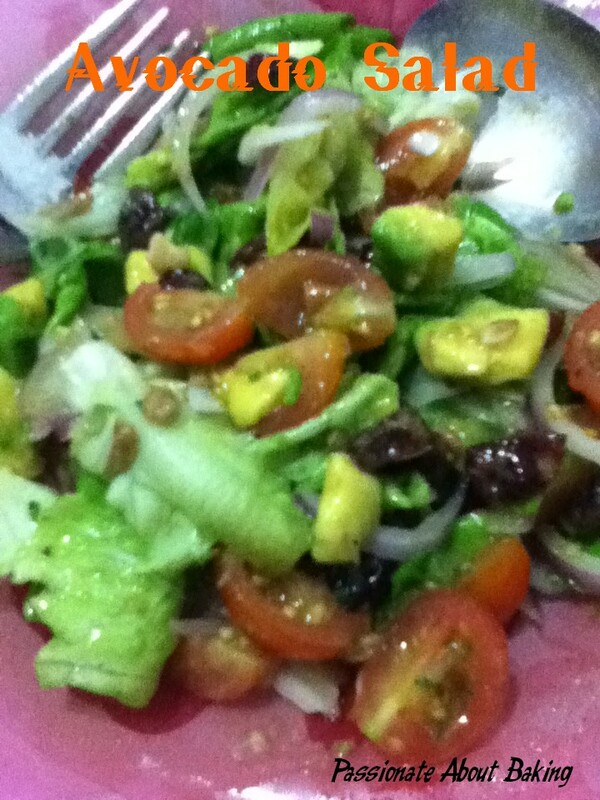 I shall stick to the convention way of enjoying avocados - shakes and salads! Even though I'm a Chinese, I must admit my mandarin is terrible! You won't believe that I had to take 3 Chinese exams during my college day just to arrive a final result of 'D'! The three results that I obtained were D, E, F (not in order)! I remembered a lot of my classmates took the first year and had gotten good results that they were excused from Chinese lessons the following year! I was the only one who made the money worth by sitting in all the classes through my two-years in college! So now you know how bad is my Chinese standard! Anyway, when it comes to buying recipe books, I always go for English recipes. However, I broke my own rule this time. I bought 孟老师的100 道面包. I haven't been baking very wonderfully soft buns. So I decided to buy this book, hoping I can produce better breads! I also saw that many bloggers actually baked quite a lot of breads from this book. So I decided to take advantage of the Popular 20% and invest in this book. Based on the limited chinese that I know, I managed to understand and do some simple translation! With the availability of the ingredients that I had on hand, I decided to bake Bacon and Cheese Buns based on 孟老师的100 道面包's "Cheese and Ham Buns". 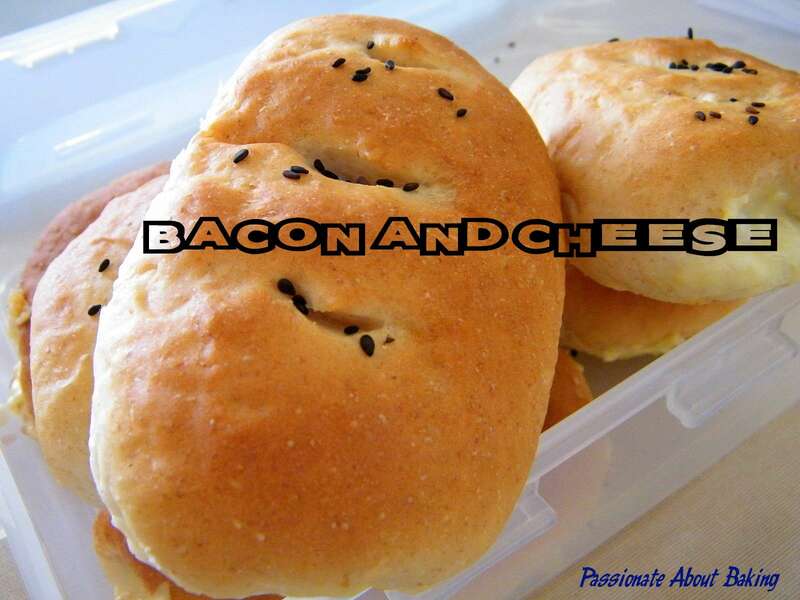 Recipe for Bacon and Cheese Buns, adapted from 孟老师的100 道面包. Combine all the dough ingredients except butter. Mix at low speed using a dough hook. Once the mixture has come together, turn to medium speed and knead until a smooth dough. Add butter and knead at low speed till combined. Then increase to medium speed and knead until the dough is smooth and elastic. Cover the dough with cling wrap and let it proof for 80mins. Divide the dough into 9 portions, and roll them into balls. Let them rest for another 10mins. Meanwhile, prepare the fillings. Using the bacon, roll up the cheese like a swiss roll and leave aside. 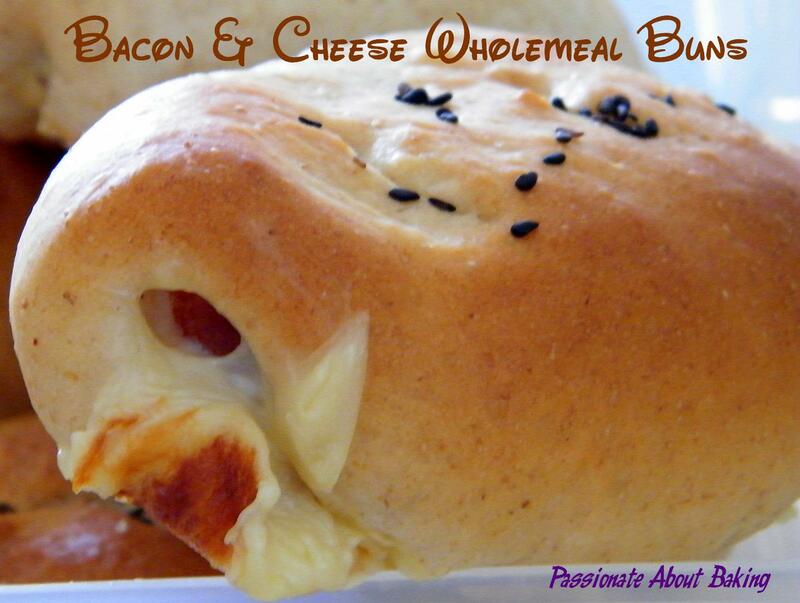 Using a rolling pin, roll out the dough and placed the bacon and cheese at the corner and roll it up. Seal it tightly. Placed it in the baking tray and let it rest for another 30mins. Using a scissor, cut three slits on top and sprinkle some black sesames. Bake in a pre-heated oven of 190C for 12mins. When I saw Shirley's post on the "Yukone" method on bread making, I told myself I had to try this! I knew of this method, but usually, it's the water roux method where cooking of flour is required. Actually, I've wanted to attend Valerie Kong's bread workshops since last year after I saw Wendy's post. However, several times, the timing and venue wasn't quite right for me. And now, she started teaching at Shermay. I found the price too costly! I'm still waiting, and hoping, that she will go back to CC to teach breads. Anyway, back to Shirley's recipe. I was truly tempted by this roux method. Since she mentioned that any kind of flour can be used, I decided to use my wholemeal flour. Then, while I was pouring the hot water into the wholemeal flour, I accidentally poured more than required! Oops! Fortunately, very fortunately, the buns turned out to be truly soft and fluffy! 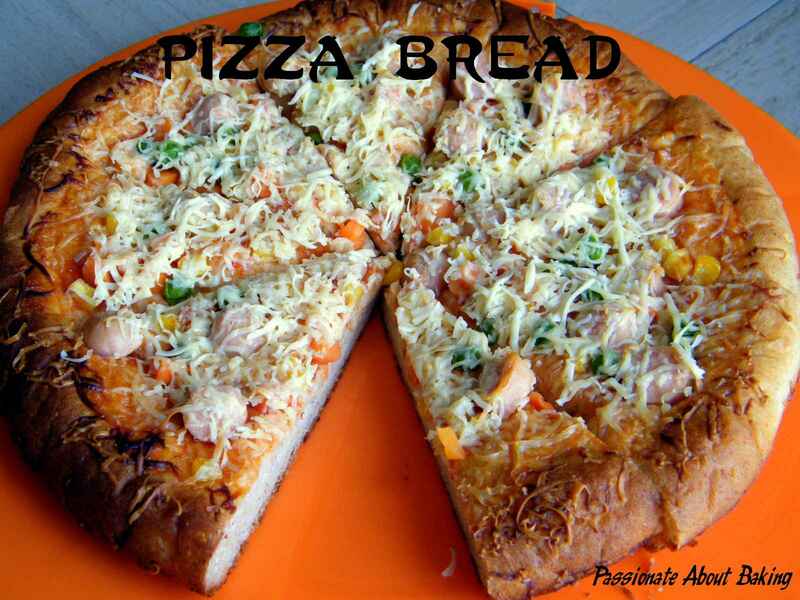 This is truly the kind of breads I like! After one day, it was still fluffy, but not as soft as I suspect I have overbaked it! However, it was still softer than those I made previously without using the water roux method! The pizza bread stayed soft even on the third day! I made these before I left for my Malaysia trip. Here is how I made them. I made doubled the recipe. Recipe for Pizza Bread and Pork floss Sausage Buns, extracted from Kokken69. Mix water roux ingredients together in a bowl. Cover bowl with cling wrap and store in fridge for 12 hours. 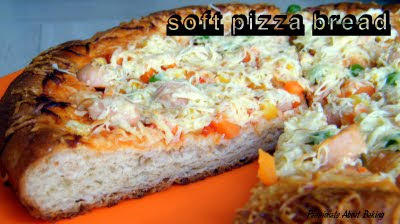 Divide the big dough into thirds - one third is for the pizza dough. The remaining two thirds is to equally divide into 16 pcs. Flatten each ball and roll out to a circle with a rolling pin. 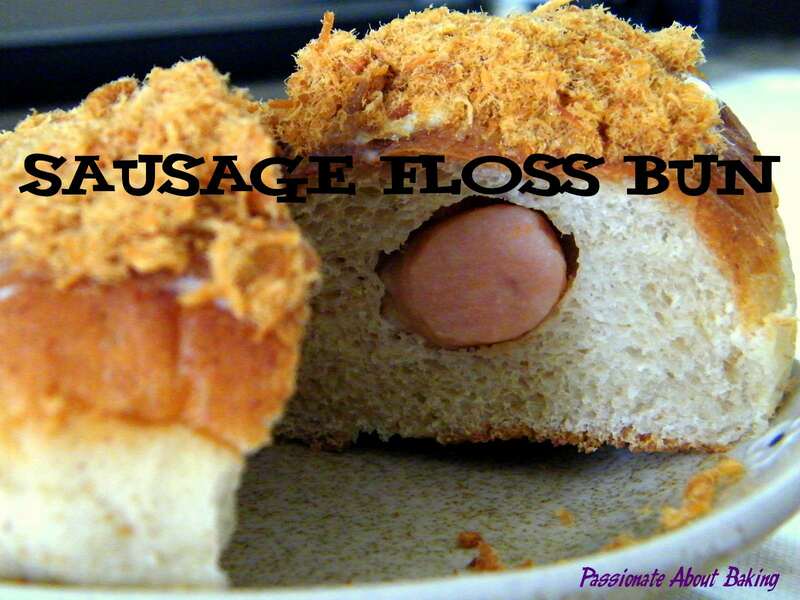 Place the mini sausage into each of the small 16 doughs, wrap and seal the edges of the dough to form a ball. Flatten the bigger dough and let it rest in a pizza pan. Leave to proof for 1 hour. 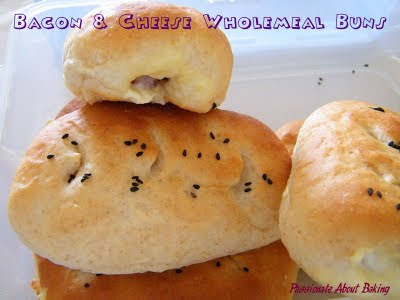 Brush the sausage doughs with milk. Bake it in a pre-heated oven at 185C for 8-10mins until brown. Slightly flatten the centre of the pizza dough. Spread the tomato and chilli sauce evenly on the dough. Place the mixed vegetables evenly on top of the sauces. Then add sausage slices on it. Topped up with shredded cheddar cheese. Bake it at 185C for about 18mins until slightly brown. 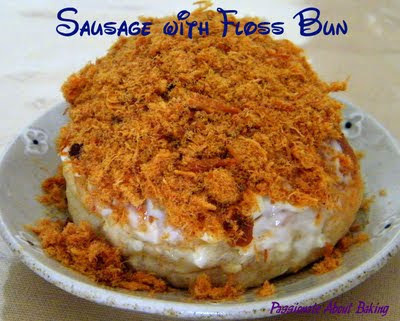 For the sausage bread, spread some mayo on top, then rolled them on pork floss to coat. I'm submitting this to the Apiring Bakers #8 - Bread Seduction, hosted by The Sweetylicious. 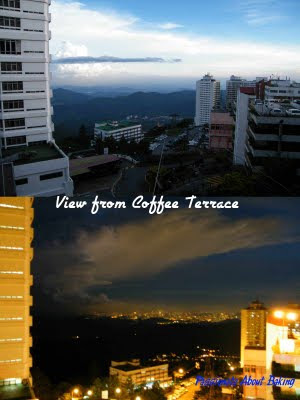 During the early June school holidays, we decided to bring the children and my parents to Genting and KL. This was partly because my domestic helper has gone back for her home leave! Since I had to take leave to care for the children, might as well bring them out for a short trip! 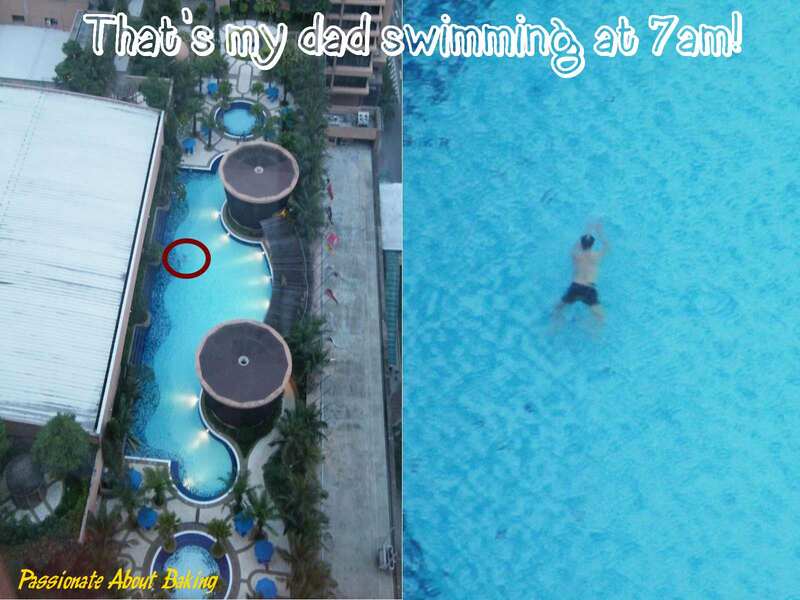 Actually it was quite poorly planned because my eldest son needed to go back to school for his supplementary classes. 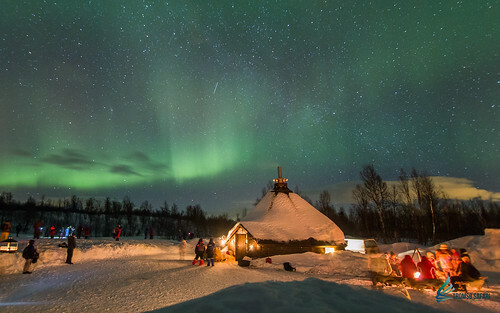 But alas, since we have already booked the trip, we proceeded with it! 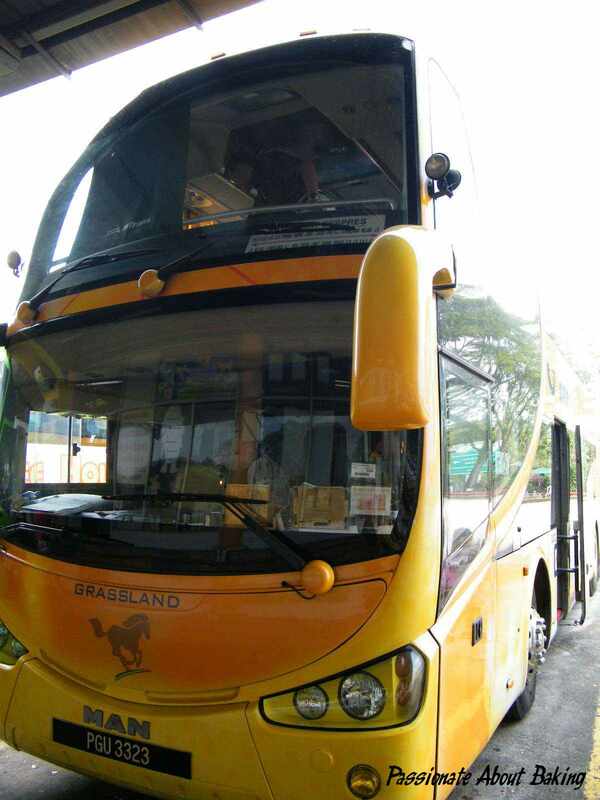 We took the Grassland Royal VIP coach to Genting. It was a long time since I took a coach to Malaysia. I must say, I was rather happy with the comfort of the coach, and I don't mind taking a coach there again! It's so convenient and fast! 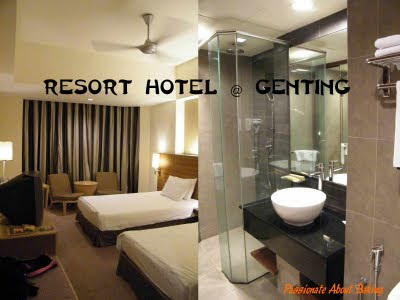 We checked in to Resort Hotel at Genting. 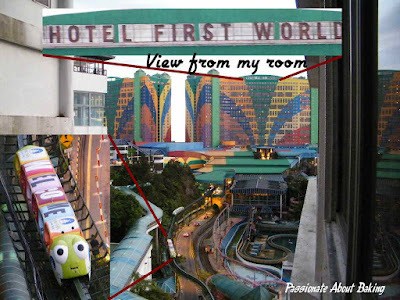 The rooms had been renovated compared to I was there a decade ago! It was quite refreshing. Here is the summary of our trip! 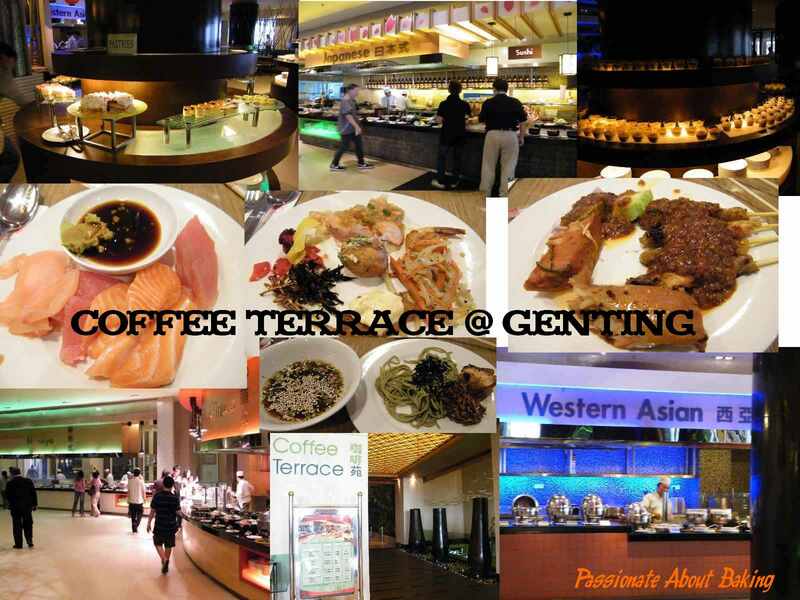 Day 1: Buffet Dinner at Coffee Terrace, followed by Glitz show at the Pavilion. Day 2: Played at the Outdoor Theme Park. Tim Sum lunch at Genting Palace Restaurant. Back to Outdoor Theme Park. Played at Indoor Theme Park. We had to queue for every rides, until my feet was really sore! Day 3: Buffet Breakfast at Coffee Terrace. Then made our way to KL. Checked in to Berjaya Times Square Hotel. Had high tea at Secret Recipe. 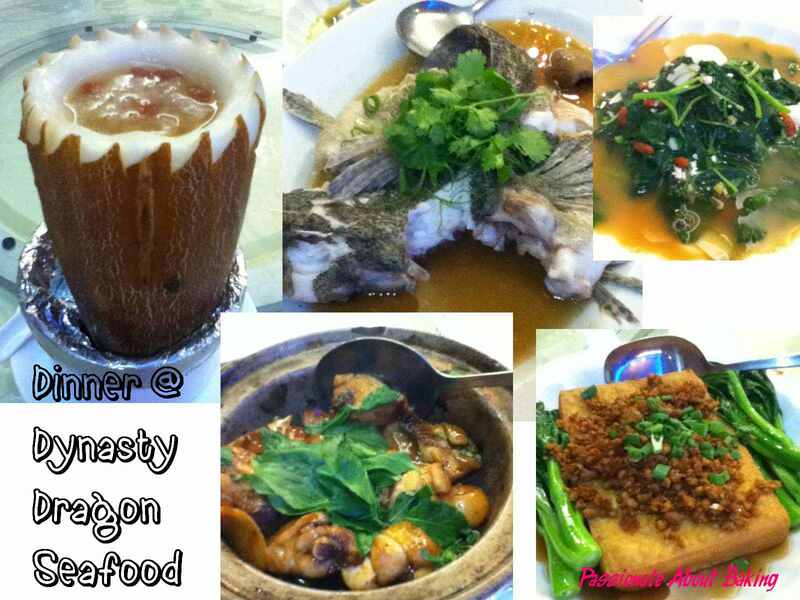 Went back to Berjaya for dinner - Dynasty Dragon Seafood Restaurant. 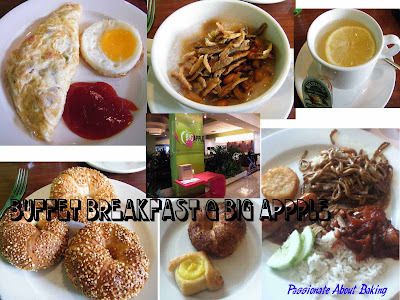 Day 4: Buffet Breakfast at Big Apple in the hotel. 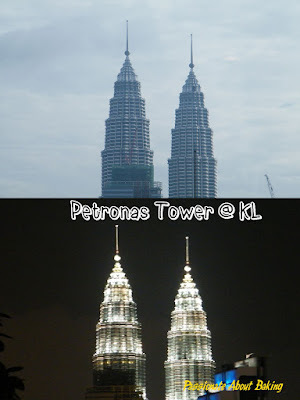 Took a cab to KLCC, hoping to get into Petronas Twin Towers. However, disappointment as all the tickets were sold out! 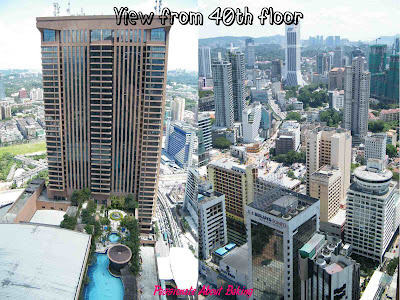 We headed to Lot 10 at Bukit Bintang instead. Had lunch at their famous Hutong. Continue shopping at Sungei Wang. 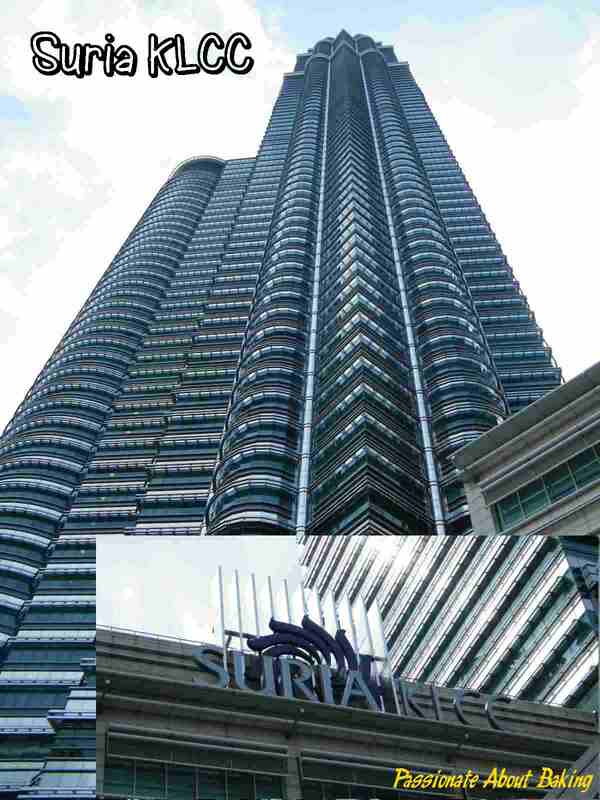 Went back to Berjaya Times Square, Theme Park. 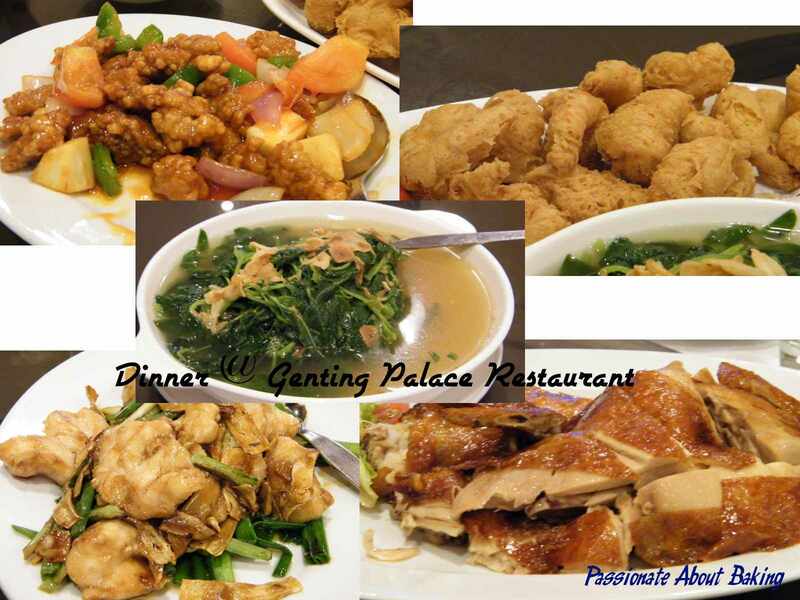 Dinner at Restoran Oversea Corporation. 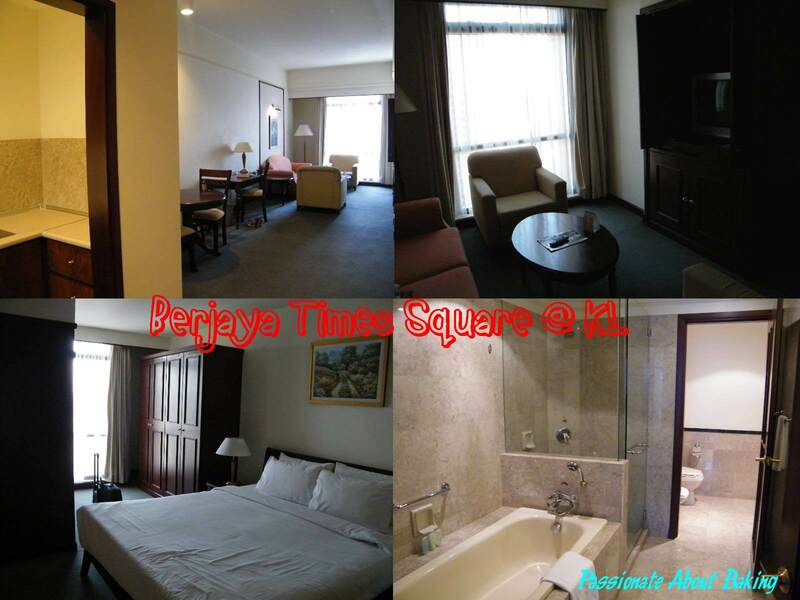 Continue shopping at Berjaya after dinner. Day 5: Buffet breakfast at Big Apple in hotel. Checked out, and continued last minute shopping. Lunch at Papa John's pizzas. Bought some buns from Bread Story. Set off to take the coach back to Singapore at 3.30pm. It was the first trip to Genting and KL for my twins. They enjoyed the trip very much, playing, eating and buying angry birds' stuffs! I was glad all of us enjoyed the trip and had a great holiday! 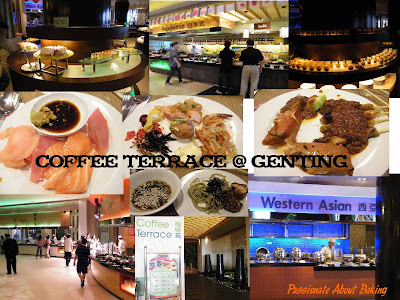 Genting Palace Restaurant - the prices are not exceptional cheap, but the food is really nice and fresh. The sweet and sour pork was very good! We had to order two servings to curb the children's likings! 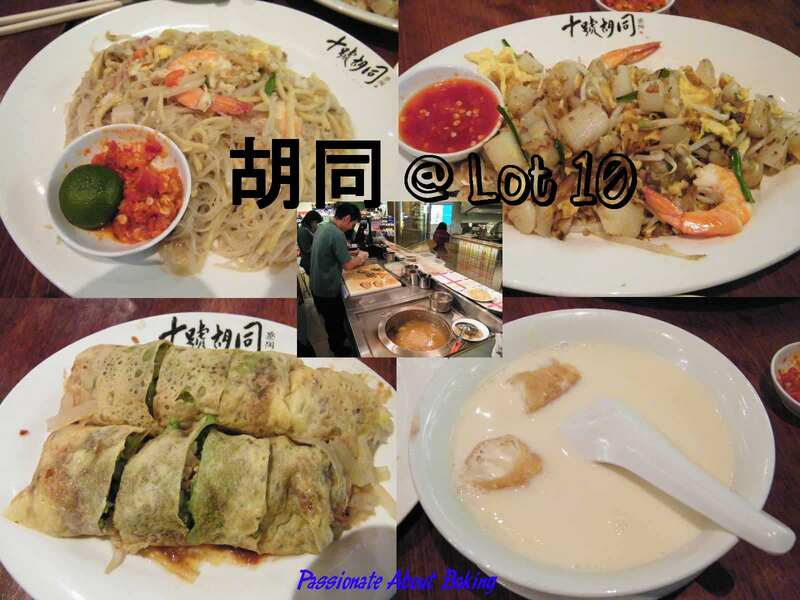 胡同@Lot 10 - Truly nostagia place with wonderful good foods! The soyabean drink was very thick and smooth! Eat it with youtiao made one very satisfied! 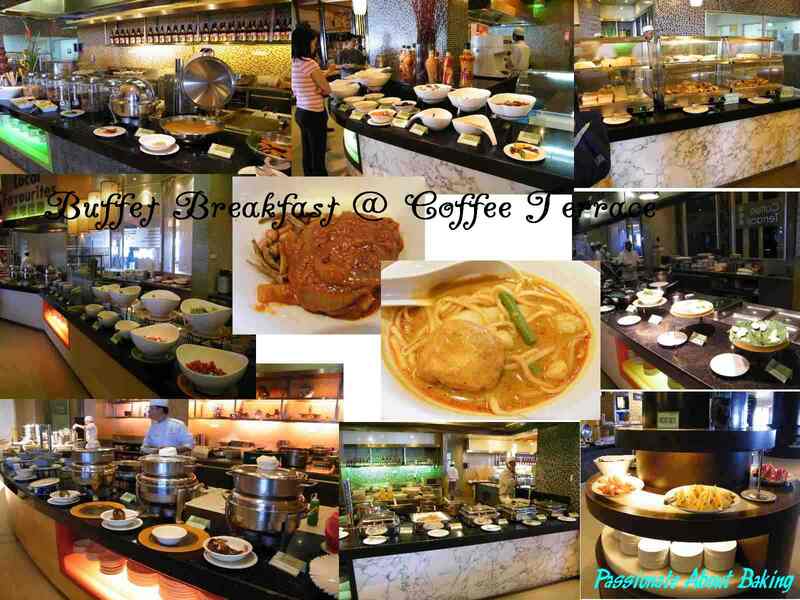 The fried hokken mee was very good too! The lard made it very smooth and tasty! Everything there just looked very good! Read more here. 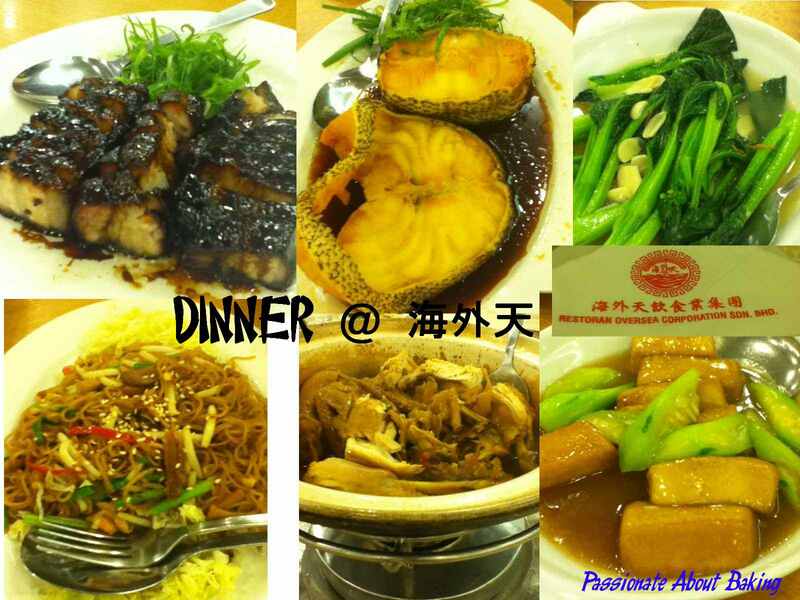 海外天 @ Jalan Imbi - Boasted by a taxi driver about their very famous bbq pork (叉烧) for RM50 for a small pack. We decided to try it, and true enough, it's all worth the money!! When it was served, it was hot. It has a very nice sweet honey taste. The bbq pork has one layer meat, one layer fats, with a total of 5 layers. The meat part was very soft and the fatty parts melt in the mouth! It was the best bbq pork I ever had!! The fried noodles was also very tasty! Wanton noodles (mee kia) was used to fry. It is different from the usual HK noodles we had! Gelatomio - They have one of the best gelatos I ever had! Two scoops for RM6.60 is truly well worth the price! We ate three times in a row! My parents love their black sesame, while I like their sorbet selections and the Green Tea! It's a must-try if you ever come across a stall!